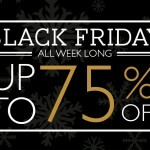 The Black Friday Special Deal that you have been waiting for is finally here! We are putting up our popular Large Landscape Imagewrap Hardcover (15″x11″) Photobook up for grabs at a crazy discount of 75%! For a very limited time only… so hurry! our popular 40-page Large Landscape Imagewrap Hardcover. And while you are at it, don’t forget to check out our Christmas Promotions – for exclusive discounts on other photobook sizes, photo cards, poster and canvases. 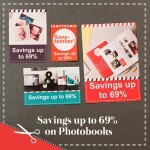 SAVE-tember Promotion : Crazy Savings on everything!